India’s former deputy national security adviser Arvind Gupta says the country has got invaluable help from the Sheikh Hasina government in Bangladesh and the Myanmar government in fighting trans-border insurgency in recent years. In his book ‘How India Manages its National Security’ published by the Penguins, Gupta says that the shelter insurgents got in these two countries have now become untenable because their governments were determined not to allow their soil to be used by anti-Indian insurgents. But Gupta, a former diplomat, strongly pitches for political solutions as opposed to military solutions. “Enduring peace in the Northeast can be restored only if the political and economic causes of insurgency are addressed and development is brought to the impoverished region,” Gupta says in the book. On development, Gupta points to a major problem – the lack of coordination between the Department of North East Region (DONER) in the Union Government and the North Eastern Council (NEC). 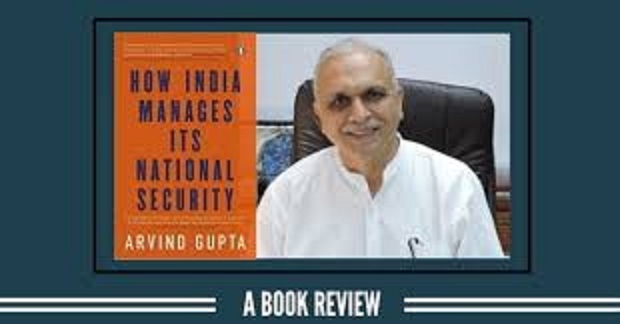 “Often, synergy between the two is missing,” Gupta observes in the book, which provides an insider view of the management of national security. Gupta says that various provisions of the Constitution have been invoked to reach political settlements with rebel groups in the Northeast. “Such measures have led to significant reduction in violence although many groups still remain active,” he says. Gupta says the law and order situation in the Northeast has ‘improved vastly and the intensity of fighting has come down significantly’. He says there is ‘no easy solution’ to the Naga insurgency, although the Framework Agreement has been signed with the NSCN (I-M) in 2015. Gupta does not elaborate on the problems faced by the Indian government as it tries to reach a final settlement of the Naga imbroglio, perhaps because he is not authorized to spell out details. But his observation that there is ‘no easy solution’ indicates a final settlement is not expected anytime soon. Gupta stresses on better defence planning to reduce wastages and inefficiencies in handling the resource crunch faced by Indian military, even as he spells out the need to enhance defence allocations.